With your phone in the palm of your hand, these smart ways to save more money make reaching personal finance goals a seamless part of your everyday life. The idea of tackling finances can seem like a confusing and forbidden territory to the majority of people; yet, with the conveniences of modern technology, it doesn't have to be such a turn off. Simply put, we should all be able to reach our financial goals, which is why there are a number of ways you can do so with relative ease! These apps and services, for example, are simple to use, and will do a significant amount of the work for you. These utilities will be your army when it comes down to figuring out smart ways to save more money, and will surely help you start living the life you deserve. If you're struggling with the way you see money, this app will bring the joy back into your finances—in a smart way, of course. After all, it’s usually our perspective toward certain aspects of life that influence how we respond to our situation. A majority of the population view money as something evil. This is largely due to experiencing debt and low credit scores. Joy changes this by working as your personal assistant. 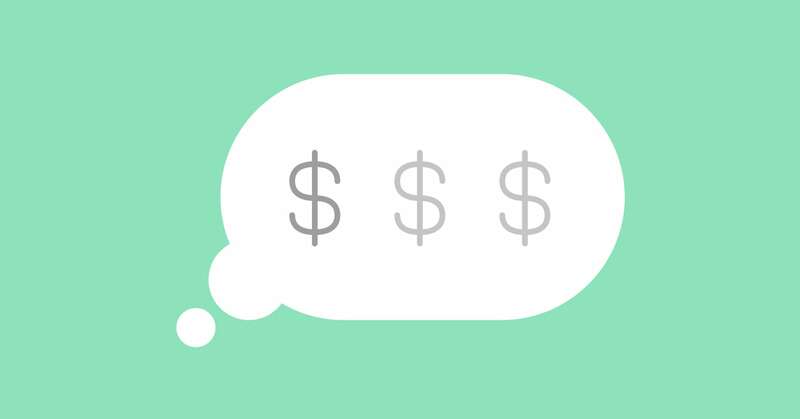 Working with clinical psychologists, neuroscientists, tech, and financial service experts, this app focuses on the intersection of psychology and finance to minimize the stress surrounding money. Joy asks that you log your spending on the app and categorize purchases under lists such as “happy” or “sad." From this, you'll begin to notice patterns. Are you shopping to escape or cope with a situation? This app truly looks at money from a relationship point of view, helping users make the most of their interactions with it. You’ll discover areas where you need to cut down spending in your life in order to maximize savings for purchases that will make you happier in the long run. It’s been three years since you last wore that coat. Don't worry, I've been there too. Stop holding onto things you don't need. Sell it on the letgo app along with your other closet dwellers. This is a quick and easy way to make some extra cash right from your cell phone. These extra funds can go directly towards tackling student loans, or into your bank account for an emergency fund. Letgo allows you to sync your profile with Facebook to reach potential buyers from your friends list. You can also search for specific items to buy. Perhaps you need a new kitchen table, but don’t want to spend an unreal amount money on a new one. Letgo is bound to have a diverse selection for you to choose from. Make a buck, save a buck, easy-peasy. Maybe you’re in a relationship and are planning on making a big purchase with your significant other. Honeyfi is specifically designed to help you and your loved one turn these financial goals into a reality. By encouraging a more social aspect than other apps, couples are able to track their spending within the app, comment on purchases, and assign specific items as either “mine” or “ours.” You’ll immediately get into a long term flow, and weed out any unnecessary habits with this simple way to get out of debt, plan, and save. Everything is in one place, including bank balances and transactions that will save time from navigating between accounts. Honeyfi takes away the discomfort around stressful money conversations with your significant other by creating an approach that is supportive and goal-oriented. In simpler times, we’d save loose change in our piggy banks until we had enough to cash it in at the bank. While piggy banks might still be a hit with younger children, this app gives you the opportunity to do something with your spare change from visits to, let's say, the grocery store. Acorns is a popular app that helps over 400,000 users save and invest spare change. Some of their services range from retirement investments to stocks and bonds. Not only does this app make it simple to invest spare change by rounding up, but they also provide support when you have questions or need help investing. Just because you’re trying to save money doesn't mean you have to stop shopping altogether. This app works with you to make the most out of your purchases. Link your debit/credit cards to their secure system, shop at your favorite stores, and redeem rewards. Be mindful though, of course. The best way to save is to use this app for purchases you already make, rather than using it as an opportunity to spend carelessly. As you accumulate the points you started saving, you have the option to use them at different stores such as Starbucks, Uber, Barnes and Noble, etc. If you never had a reason to keep your receipts, you do now. Ibotta works with various stores, and offers rewards on the items purchased. Just snap a photo of your receipt, and Ibotta will match your items up to offers of your choice, giving you cash back. It's a win-win reallym where you're making money from your money. Some of the brands they work with include a selection of approximately 300 stores such as ULTA, Best Buy, WalMart, Trader Joes, and Walgreens. We all have our weaknesses. Whether you’re spending on clothing or technology, it always helps to know a few hacks. This one is for my book lovers out there reading this. Think of the Libby app as your personal electronic library. Libby allows you to stream and check out ebooks and audiobooks by connecting you to your local libraries. If you have multiple library cards, you can alternate and use them within the app. Rather than buying a book at the store, this app sources all of the ebooks from a brick and mortar store (or public service), and connects you with new releases and best sellers. This app has grown in popularity over the last couple of years, and for good reason. Honey is a browser extension that helps you save money while you shop online. Rather than looking for coupons and hoping they aren’t fake or haven’t already expired, Honey finds them for you and automatically applies it to your order. This makes shopping on Barnes & Noble or cutting back on your grocery bills from ShopRite a lot more convenient. YNAB helps you get closer to your goals by being inside the thing you hold closest to your heart—your phone. Simply enter your expenses, income, and goals, and track your budget to take control of your situation. With the ability to connect all of your bank and checking accounts in one location, you get a bird's-eye view of your daily spending habits to help you narrow in on your savings goals. YNAB has helped people save up to $600 on their first month, totally alleviating the stress of budgeting and saving for some impossibly fast. Now you can redirect your energy on growing other financial goals, such as figuring out how much money you need to retire. This website actually saves you money. While you’re out there saving money, accessing books, and earning rewards, Trim assists you in getting rid of any unnecessary burdens. In a massively convenient world where payments are automated on a monthly bill basis, it’s easy to forget that you’ve somehow been paying for both Apple music and Spotify. Do you really need both? Not only does Trim find recurring subscriptions, but this app also negotiates your cable bill, helps you find better insurance rates, and more. You'll cut down on expenses, and have a bigger pile for your savings account. Whether you're looking to make a big purchase, paying off student loans, or just taking yourself on a nice trip with friends, these smart ways to save money are a great place to start. It's easy to forget our goals if we don't make it a point to frequently check in with ourselves and our finances. With technology being at our fingertips, it's so much easier, now, to keep track of our spending. If you don't take advantage of these smart ways to save more money, you'll be paying for it in several ways in the long run, and that's certainly not saving anyone from anything.